Let us help you create a beautifully designed bathroom guaranteed to get each day off to a positive start. 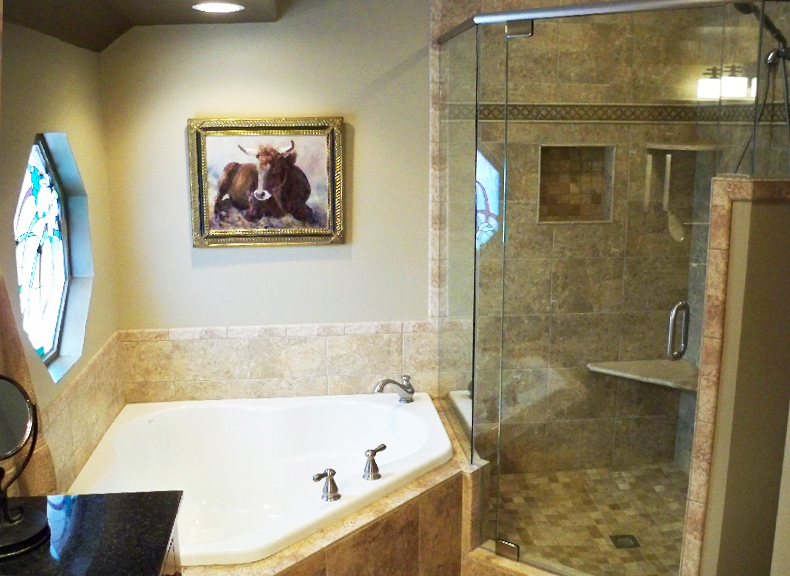 Whether you need more space or more style, bathroom remodels are a great way to improve your home and your life. From hall bathrooms to a spa-inspired master bath, today’s bathroom designs are extraordinary. With artful fixtures, endless stone and tile options, unique shower and tub designs, and picturesque lighting options, your bathroom can be as stylish as it is functional. Fricke and Company can pull it all together to create a space you will love to show off or keep all for yourself! Click here to view our latest bathroom projects!